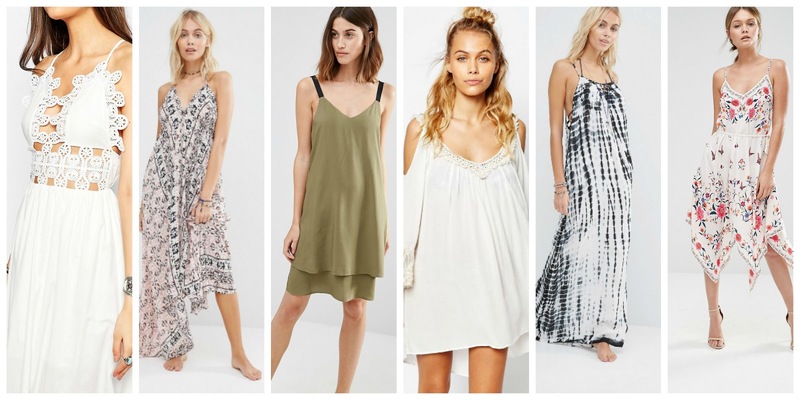 Summer dresses | Pretty & Affordable options! 4 - Podem haver leitoras por aí desesperadas por vestidos leves, práticos e fácies de vestir! Lembrei-me de partilhar convosco vestidos super giros e acessíveis que podem encontrar nas lojas que vocês sabem que me identifico mais. Sabem aqueles dias que vamos aos sites e colocamos coisas no carrinho e nunca compramos? (vá não me digam que eu sou uma ave rara, a única que faz isso!!) , pois são exactamente esses que vos mostro por aqui hoje. Some girls asked me if I wasn't going to make a post like I did last season about the pieces that we can't miss on sale. The thing is that, unfortunately, free time is something that I'm missing a lot of. I don't even have the time to research sales options for pieces that might be worth buying. But things are about to get better soon! That makes me really excited to produce more content here on the blog in the next few months! Well today I looked around Zara's website and I thought that it looked pretty poor don't you think? 4 - There might be some readers out there desperate for a practical easy to wear dress! Hope you like it, and leave me your suggestions. Lovely post! I like the soft pink dresses! Sobre o vestido longo com croché da Asos: demasiado amor para aguentar! Sobre os que tu tens na tua foto: manda-me lá isso cá para casa, se faz favor! Estou demasiado falida para continuar a seguir o teu blog. Adeus! This dresses are so beautiful, love all, thanks a lot for share! amazing selection dear,all these dresses are fab..
Babando pelo primeiro da última fila - mas ia usá-lo poucas vezes, por isso não vale o investimento. Saaaad! Love the options, they're so summery and sweet! Don't worry, Adriana. I'm a weirdo that goes online window shopping A LOT. Hahaha, these are such pretty dresses! I know the feeling honey! 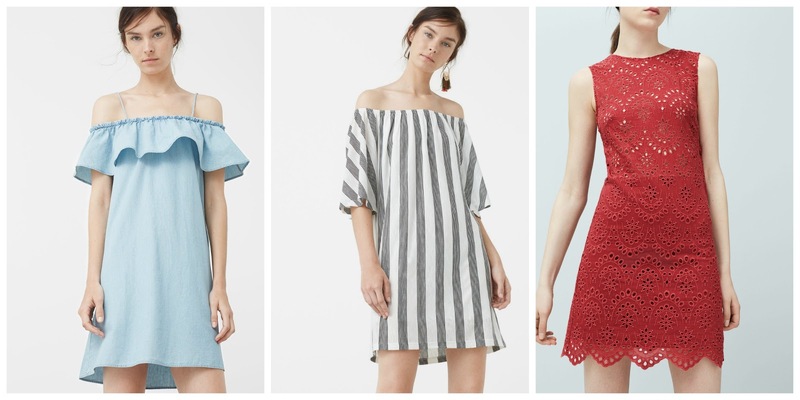 Zara's sale is always so amazing and of course you picked great pieces! So many pretty dresses! Love that white lace one! I can't have enough dresses in the summer. They're just so cute and easy to wear! Loving your selection, my favorite has to be the white cutout dress. It looks os stunning! They are so pretty aren't they? Perfect for this time! Oh these are all so pretty! Absolutely love the Oasis Printed Hanky Dress and the off-the-shoulder white dress! Não, não és MESMO uma ave rara! Pelo menos pelo que me tenho apercebido na nossa loja online...Não faltam meninas a mandar as peças para o carrinho, mas que depois acabam por não efectuar a compra. Excelentes sugestões! Agora fiquei curiosa para saber qual será o escolhido. These dresses are all so gorgeous!